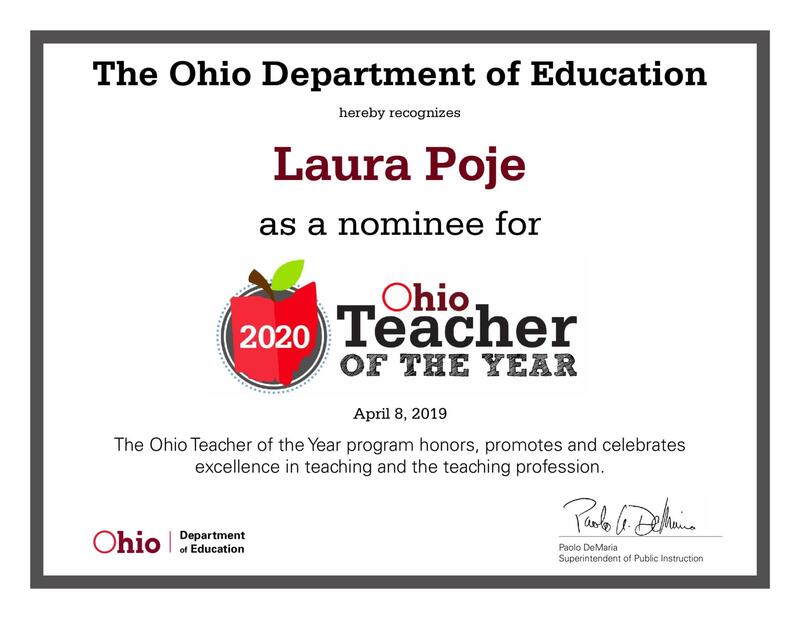 Congratulations to Riverside High School teacher Laura Poje for being nominated as the Ohio Department of Education's Teacher of the Year! Laura is a teacher, an English Department Chair and the advisor of Riverside Theatre. Since its inception in 1964, the Ohio Teacher of the Year program annually identifies exceptional teachers statewide celebrating their effective work in and outside the classroom. The mission of the program is to provide opportunities for professional growth to exemplary teachers as leaders in and advocates for public education. The Ohio Teacher of the Year will be announced in August or September.